Jupiter's turbulent atmosphere may conceal a rocky core say astronomers. 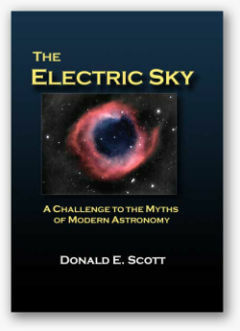 Astronomical research in the virtual realm instigates foregone conclusions. 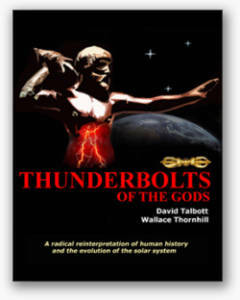 The Thunderbolts Picture of the Day has never considered questions that involve the search for subjective meaning in the universe to be necessary when analyzing the observations that NASA and other research groups provide. It is enough in most instances to draw correspondence between the theories proposed in peer-reviewed journals and the concepts embodied in Electric Universe hypotheses. The so-called anomalies in consensus opinions tend to disappear in most cases when EU theory is brought to bear on the questions. A recent article in the scientific press highlights the disparity between the conclusions that should be drawn from observations and those that are drawn from within the imagination. "Jupiter has a rocky core that is more than twice as large as previously thought, researchers announced today." "Burkhard Militzer, a geophysicist at the University of California, Berkeley, and his colleagues ran computer simulations to look at conditions inside Jupiter... With information gleaned from these simulations, the researchers developed another computer model..."
"Extreme magnetic fields in space are said to be caused by the high-speed rotation of neutron stars. One of many cases where a theory is built on the incorrect assumptions of another theory." "The large, rocky core implies that as Jupiter and other giant gas planets formed 4.5 billion years ago, they grew through the collision of small rocks that formed cores that captured a huge atmosphere of hydrogen and helium." Once more NASA scientists are constructing a will-o'-the-wisp out of the ectoplasm generated by a previous excursion into computer models and equations. The way that "simulations" are used to describe hypothetical conditions as if the algorithms are actualities instead of the other way around is a symptom of the upside down methods that are being employed in the research community today. This begs our initial question: "What is truth?" In the "correspondence view" of truth, any statement is true if it corresponds to factual reality. An assertion such as "there is a red fox in the garden" is true only if there is "actually" a red fox in the garden. In this case, the corollary is not true. Saying "there is no red fox in the garden" does not correspond to a true condition of fact when the red fox is standing amidst the verge. The correspondence view requires that statements can be proven false if they disagree with "real" conditions. The EU hypothesis rests its premises in that foundation, so there is no mention of the beginning of things—no speculation into the origin of the universe or where the energy comes from that sustains it. 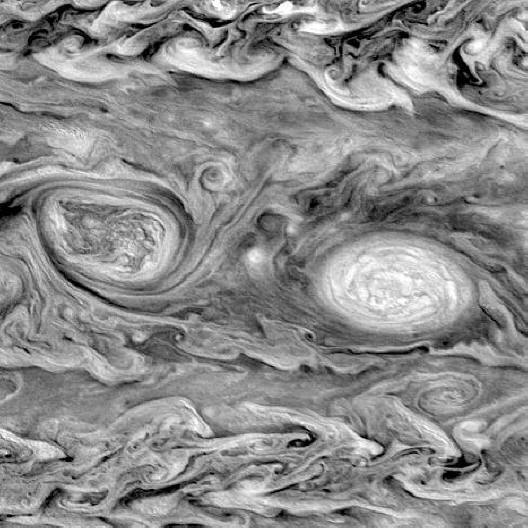 Reflecting once more on the press release about Jupiter, how does one create conditions within computer simulations that can be proven to agree or disagree with real conditions inside its chaotic atmosphere? Do we now construct manifold algorithms that demonstrate how Jupiter's core is not big and rocky? What then? On what basis can the theoretical model ever be tested when no man-made object can survive the conditions inside Jupiter no matter which theory is used? 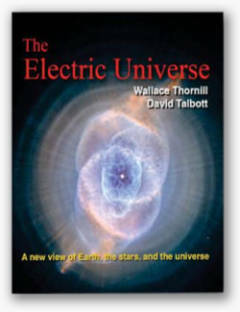 The most important issue separating the Electric Universe from conventional views is that evidence based in laboratory experiments can be used to support EU theories of cosmogony. The mainstream sinks its foundations in ground where computer models and complex equations are used for support. It is this philosophical divergence that inhibits the general acceptance of plasma and electricity as active agents in space.